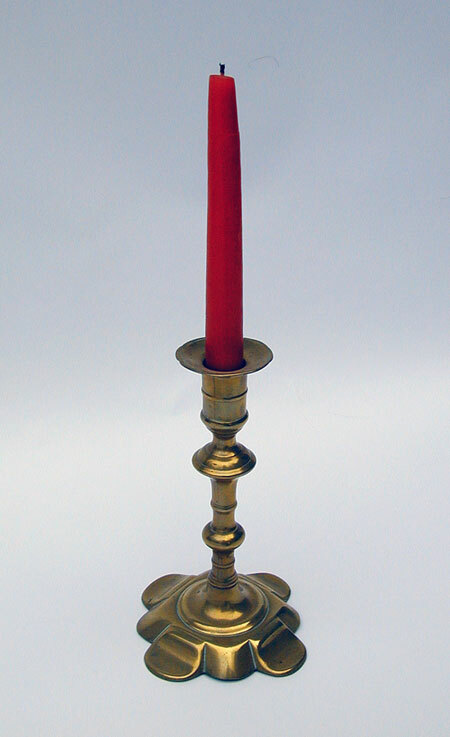 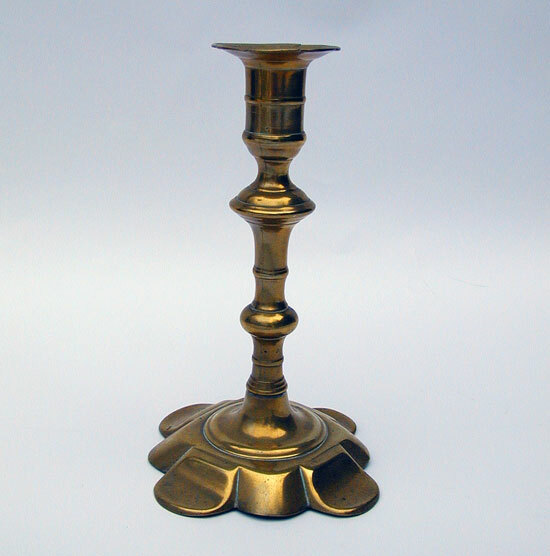 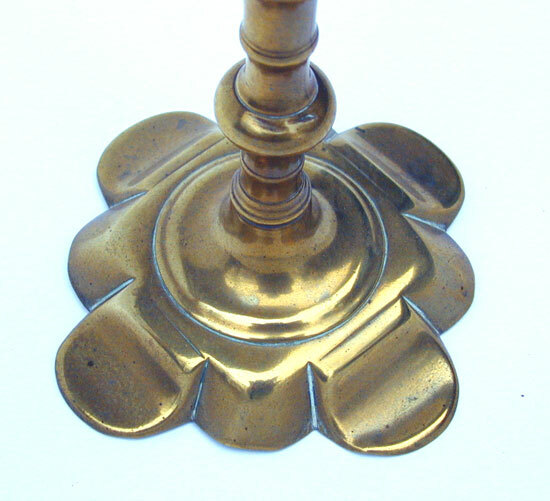 This 7 3/8" tall stick is a very attractive example of what is considered by many to be a Queen Anne brass candlestick. 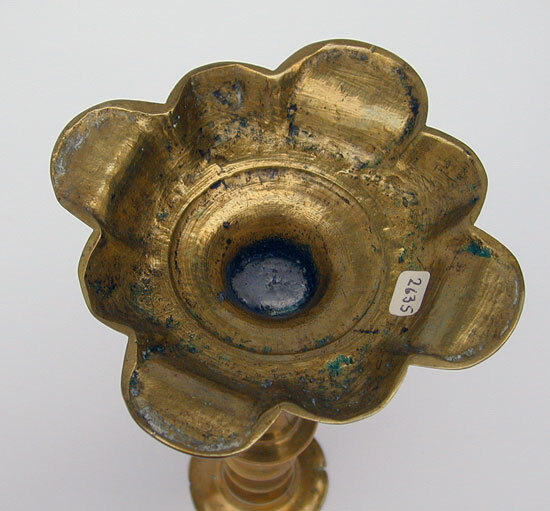 Cast in halves and spelter soldered together. 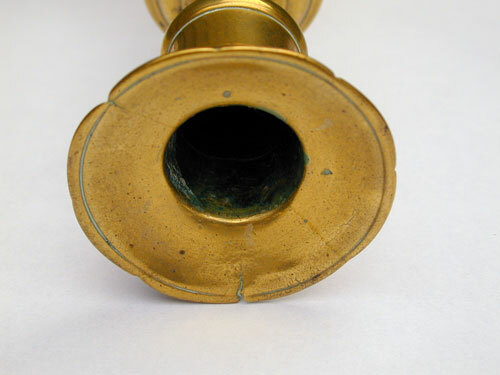 There are two small cracks in the bobeche.